This is THE all American open road motorcycle adventure. Route 66 stretches over 2,200 miles connecting LA and Chicago, and it is the story of early twentieth century America. 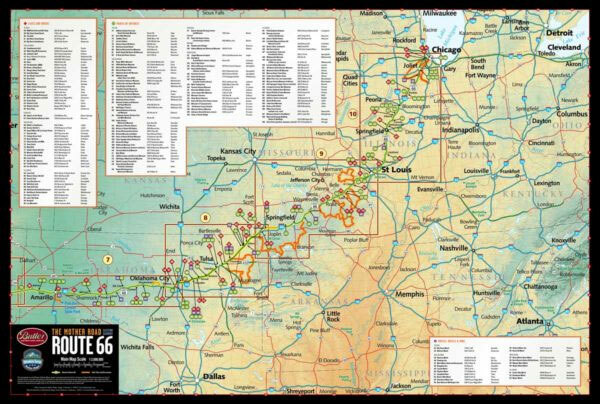 There are plenty of road maps that will put you on and keep you on Route 66 . . . but there’s more. Butler Maps make maps for adventurers (they ride and rate the most scenic and dramatic paved roads in the country). They created twelve scenic loops and side trips that can add a new and exciting dimension to your once in a lifetime experience.